Home News The primitive bear with a sweet tooth: Scientists discover the 3.5 MILLION-year-old remains of an ancient creature with severe cavities in Canada. The primitive bear with a sweet tooth: Scientists discover the 3.5 MILLION-year-old remains of an ancient creature with severe cavities in Canada. Paddington's prehistoric ancestor, a primitive bear with a sweet tooth, has been discovered in the Arctic. Researchers identified the remains of a 3.5-million-year-old bear from a fossil-rich site in Canada's High Arctic. The findings show that the animal is a close relative of the ancestor of modern bears, and that it also had a taste for sweet treats - shown by cavities in its teeth. They say the ancient bear may have got his bad teeth from munching on berries, rather than Paddington's preferred sweet treat of marmalade sandwiches. The research team were able to study recovered bones from the skull, jaws and teeth, as well as parts of the skeleton from two individuals. 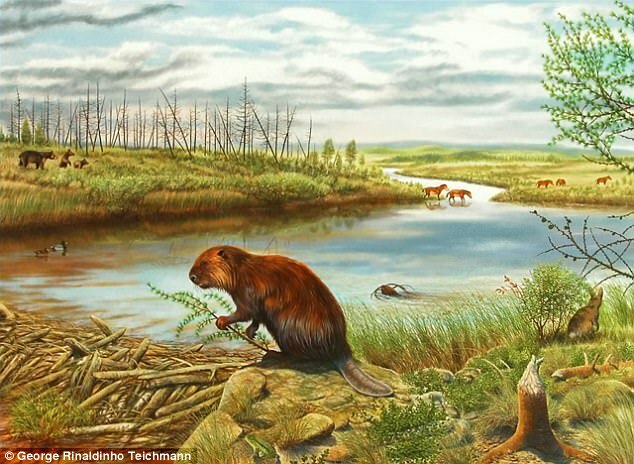 The bones were discovered over a 20-year period by Canadian Museum of Nature scientists at a fossil locality on Ellesmere Island, known as the Beaver Pond site. The peat deposits include fossilized plants indicative of a boreal-type wetland forest, and have yielded other fossils, including fish, beaver, small carnivores, deerlets, and a three-toed horse. 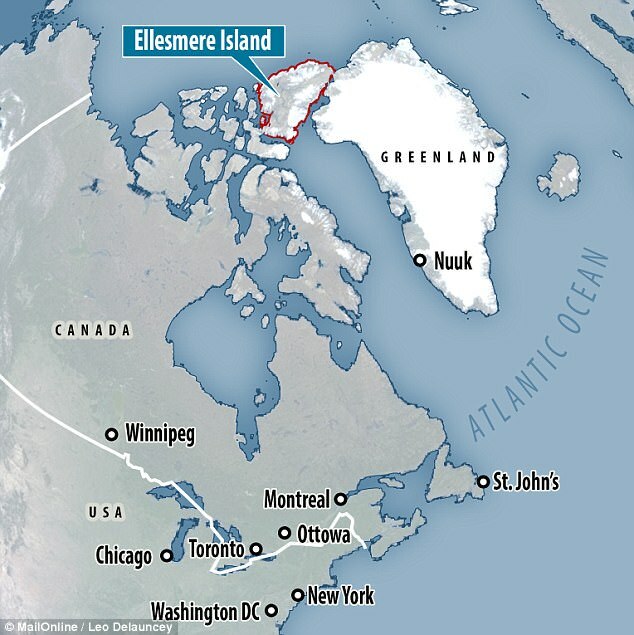 The findings, published in the journal Scientific Reports, show that the Ellesmere Protarctos lived in a northern forest habitat, where there would have been 24-hour darkness in winter, as well as about six months of ice and snow. 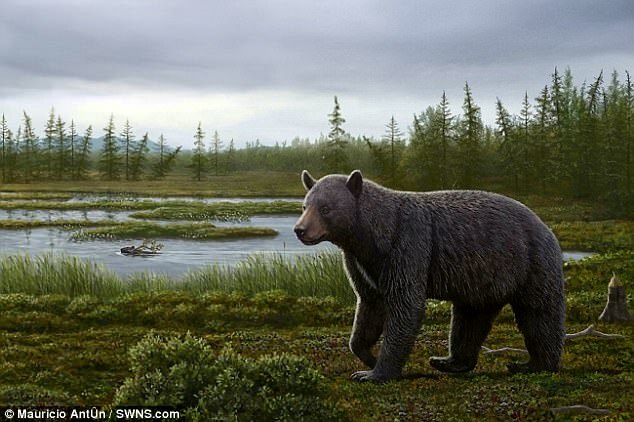 Researchers from the Canadian Museum of Nature and the Natural History Museum of Los Angeles County (NHMLAC) identify the bear as Protarctos abstrusus, which was previously only known from a tooth found in Idaho in the United States. The animal was slightly smaller than a modern black bear, with a flatter head and a combination of primitive and advanced dental characters. Study lead author Dr Xiaoming Wang, said: 'This is evidence of the most northerly record for primitive bears, and provides an idea of what the ancestor of modern bears may have looked like. 'Just as interesting is the presence of dental caries, showing that oral infections have a long evolutionary history in the animals, which can tell us about their sugary diet, presumably from berries. 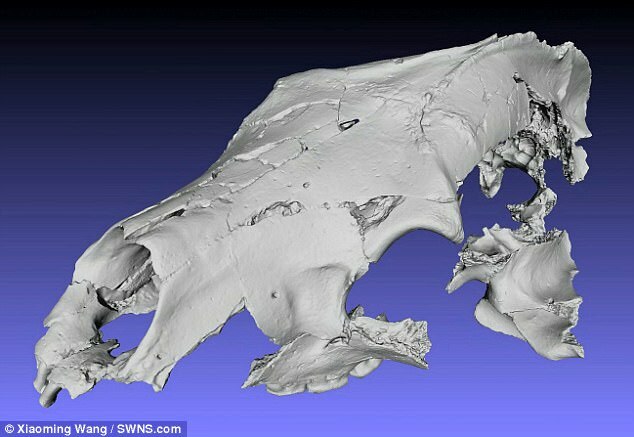 Study co-author Dr Natalia Rybczynski, said: 'It is a significant find, in part because all other ancient fossil ursine bears, and even some modern bear species like the sloth bear and sun bear, are associated with lower-latitude, milder habitats. Dr Wang analysed characteristics of fossil bear remains from around the world to identify the Ellesmere remains as Protarctos and to establish its evolutionary lineage in relation to other bears. Modern bears are wide-ranging, found from equatorial to polar regions. Their ancestors, mainly found in Eurasia, date to about five million years ago. Dr Wang said fossil records of ursine bears - all living bears plus their ancestors, except the giant panda, which is an early offshoot - are poor and their early evolution controversial. The new fossil represents one of the early immigrations from Asia to North America, but it is probably not a direct ancestor to the modern American black bear. Dr Wang said that it is also significant that the teeth of both Protarctos individuals show signs of 'well-developed' dental cavities, which were identified following CT scans. Dr Wang added: 'The cavities underline that these ancient bears consumed large amounts of sugary foods such as berries. Dr Rybczynski added: 'We know that modern bears consume sugary fruits in the fall to promote fat accumulation that allows for winter survival via hibernation.